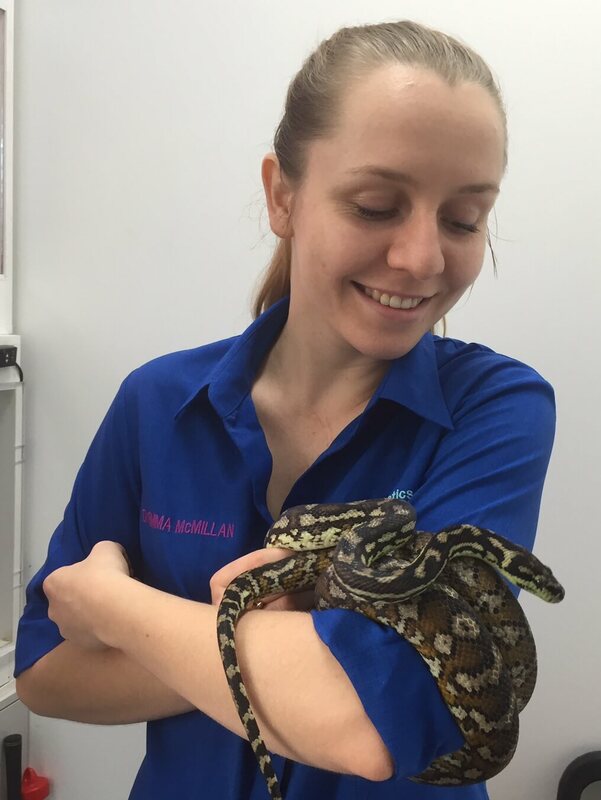 After graduating from the University of Queensland, Deborah started her journey in avian and exotic animal medicine. In the following years, she worked in a variety of practices (general, emergency, 50% avian/50% small animal practice), before finally moving to the United Kingdom to start an avian residency. While in England, she obtained her Certificate of Zoological Medicine (CertZooMed). This qualification encompasses zoo animals, birds and exotic pets and wildlife. Deborah received this qualification in 2004. Her case book was of such a high standard that the Royal College of Veterinary Surgery in London requested a copy for their library. There are only 3 people in Australia with this qualification. DipECZM (Avian) signifies that Deborah is a Diplomate (Specialist) of the European College of Zoological Medicine and Surgery, in the Avian Section, which is the European organisation responsible for training and assessing veterinarians who wish to become avian specialists. Deborah was given Diplomate status in 2006 and is the only Australian veterinarian with this qualification having undertaken the necessary training and study required between 2003 and 2006. 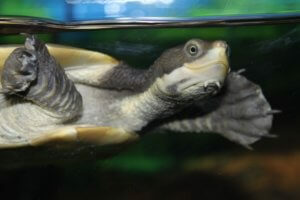 In addition to her Zoological Medicine Certificate and European Diplomate qualification Deborah achieved Membership of the Australian College of Veterinary Scientists in Avian Health in 1999 (MACVSc [Avian Health]) and improved on this initial qualification by achieving her Fellowship (Specialist) status in July 2006 (FACVSc [Avian Health]). 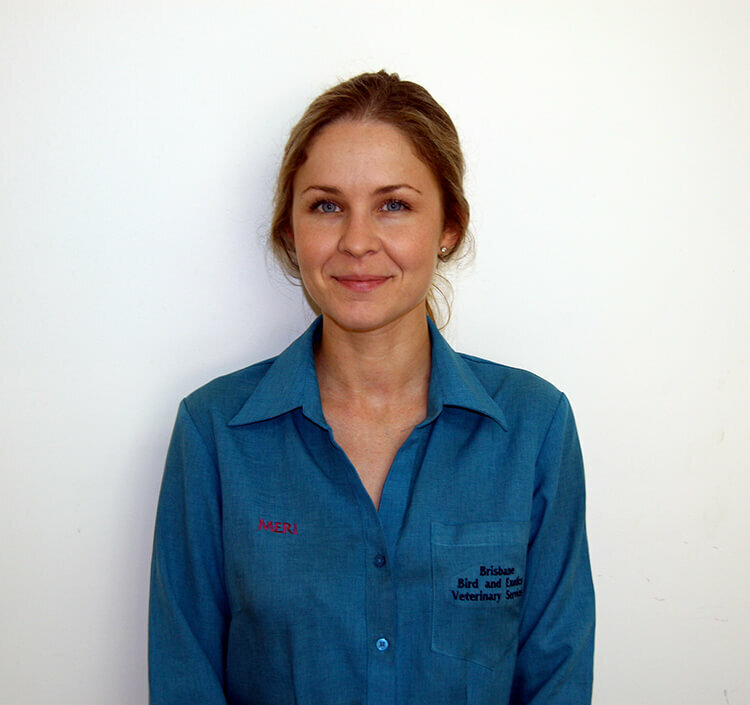 Although there are now a number of Members of the Australian College of Veterinary Scientists in Avian Health, Deborah is only the fifth person to have attained Fellowship level and is one of only two in Queensland, the other being Dr Bob Doneley who practices at the University of Queensland Small Animal Hospital at Gatton. Sasha has been with the BBEVS team since 2008 and never wants to leave! She wanted to be a vet from when she was very young and has always had a keen interest in exotic pets, wildlife and zoos. Sasha studied Veterinary Science at the University of Queensland and graduated in 2010 with Honours. During her studies she completed an Externship at Taronga Zoo in Sydney and also went to South Africa to complete a certificate in Wildlife Immobilization and Conservation. A keen interest in continuing education has seen her obtain a Membership in Avian Health in 2014 with further studies continuing into exotic pets.Sasha regularly attends and presents at conferences and completes further education courses. She has also written a text book chapter on Turtle Shell Repair in the book ‘Reptile Medicine and Surgery in Clinical Practice’. 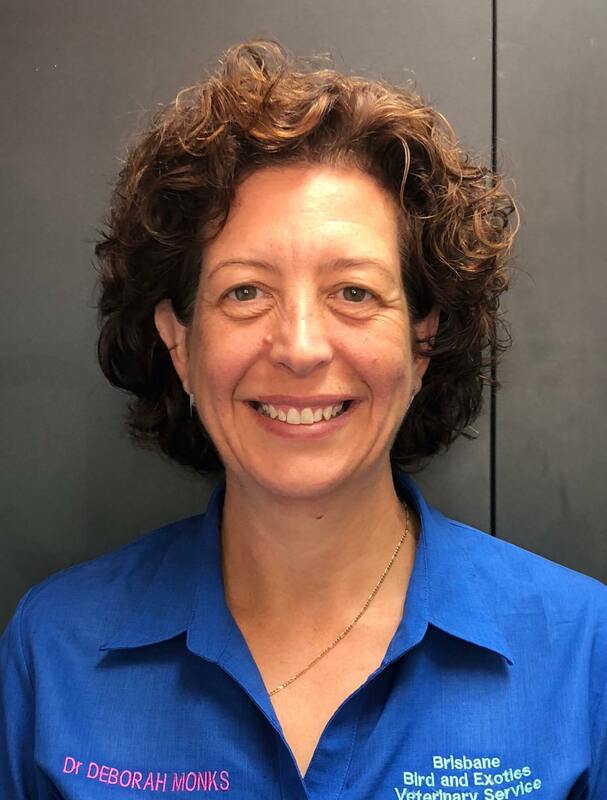 Her special interests include surgery and creating a lifelong bond with pets and their owners to ensure her patients receive the best care both at home and in the clinic. At home she has plenty of pets to keep her busy: Tiago the cheeky blue fronted amazon parrot, Spike the Macquarie turtle who lives in a beautiful pond and Mia the naughty tortie cat. In her spare time Sasha enjoys music, concerts, bush walking, swimming, yoga, pilates and reading novels. Emma joined the team as a veterinarian in 2014 after working with us as a veterinary nurse for 4 years during her veterinary training. Obtaining her first pet snake when she was just 11 years old, Emma has always wanted to be a reptile veterinarian. Emma graduated from the University of Queensland’s Bachelor of Veterinary Science in 2014 with honours and as class valedictorian. During her studies she completed externships at Auckland Zoo, Melbourne Zoo and Adelaide Zoo. Emma has a very keen interest in reptiles but also loves all of the feathered and furred animals we see. 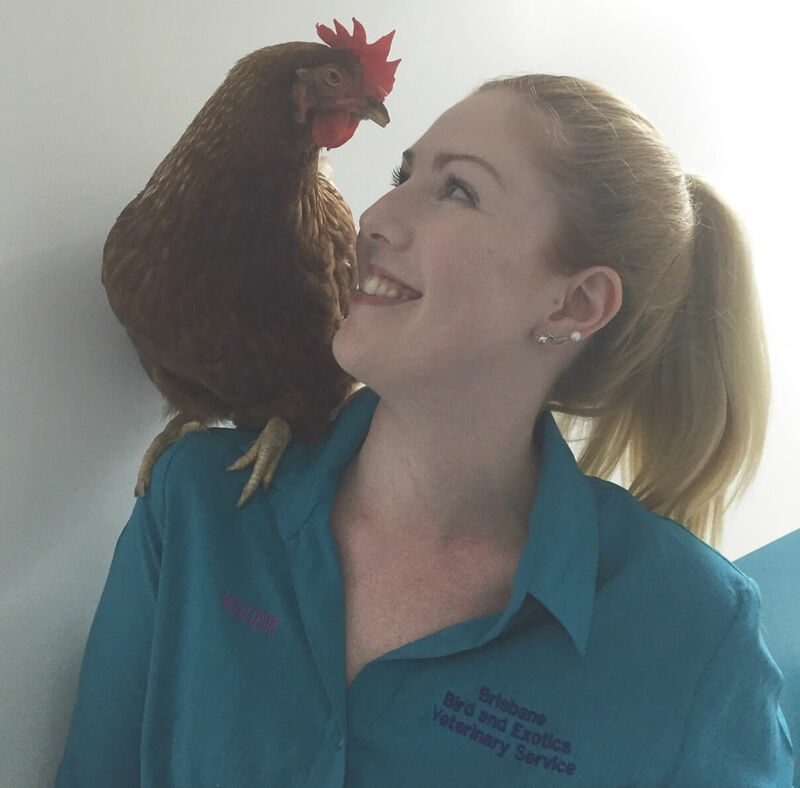 At home she has a 21-year-old galah called Toby, a cinnamon green cheek conure, Rica, a cheeky lorikeet called Ollie and many chickens – all of which are regular blood donors for the clinic! She also has a Darwin Carpet Python called Eve, two Ridge tailed monitors (Rex and Patch) and (she had to have some furred creatures!) two dogs – Lola and Tia. Over the years she has had snakes, various lizards, frogs, guinea pigs and mice. 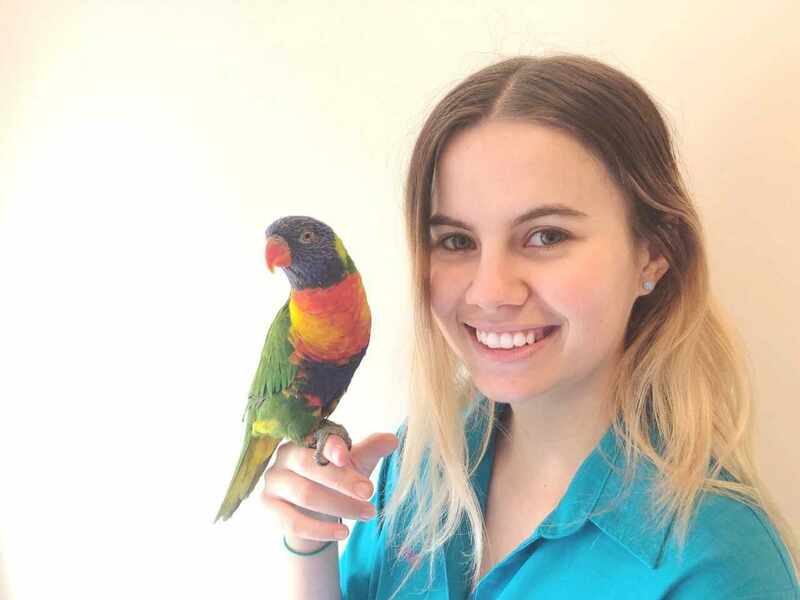 Emma achieved her Avian Memberships with the Australian and New Zealand College of Veterinary Scientists in 2018, and is currently studying for her Unusual Pet Medicine and Surgery Memberships, a qualification she wishes to obtain in the not too distant future! Outside of work Emma spends most of her time with her daughter and husband caring for their menagerie! Kimberley knew she was going to be a vet for as long as she can remember! Although she has a love for all creatures, she has a particular passion for wildlife and exotics. In high school she completed a work experience program at Dubbo Western Plains Zoo and spent a lot of her spare time at a local mixed practice veterinary clinic. Kimberley then worked as a Wildlife Officer and volunteered as a wildlife carer while studying at university. 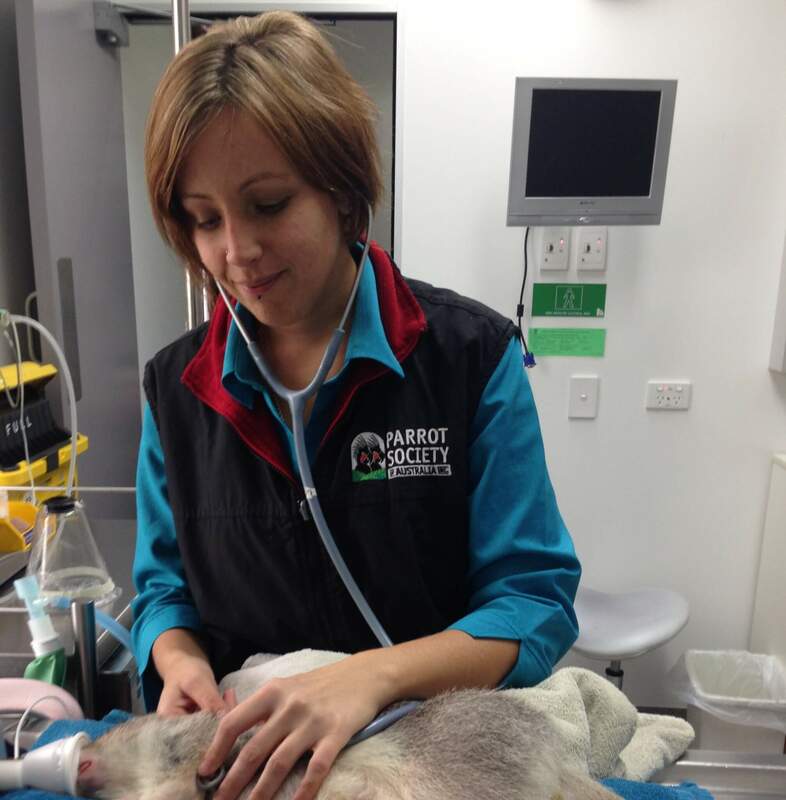 In her final year she completed an externship at the Australia Zoo Wildlife Hospital. Kimberley graduated with honours from the University of Queensland’s Bachelor of Veterinary Science. Kimberley has a wide variety of furred and feathered friends at home that keep her on her toes! Jess joined the team here at BBEVS after working in Ballarat for the last 5 years. She spent a lot of this time in small animal practice, and always particularly loved working with birds, reptiles and small fluffy critters. While there she also did a lot of veterinary work for wildlife and with birds of prey. Jess graduated from The University of Queensland in 2012 with a Bachelor of Veterinary Science with honours. 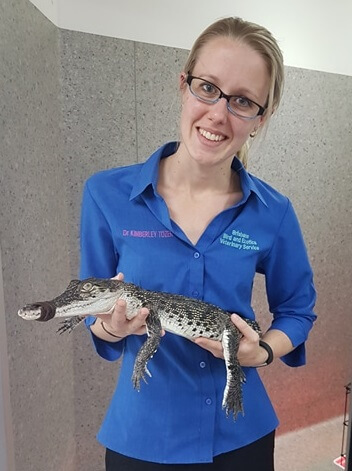 Throughout high school and university education Jess assisted at the Currumbin Wildlife Hospital where she gained experience with various native species. Jess has a few animals of her own that have moved interstate with her (and rule her life) including two mice named Henry and Eliza, a turtle named Pippa and a cat called Lady Audrey Elizabeth Mewington. 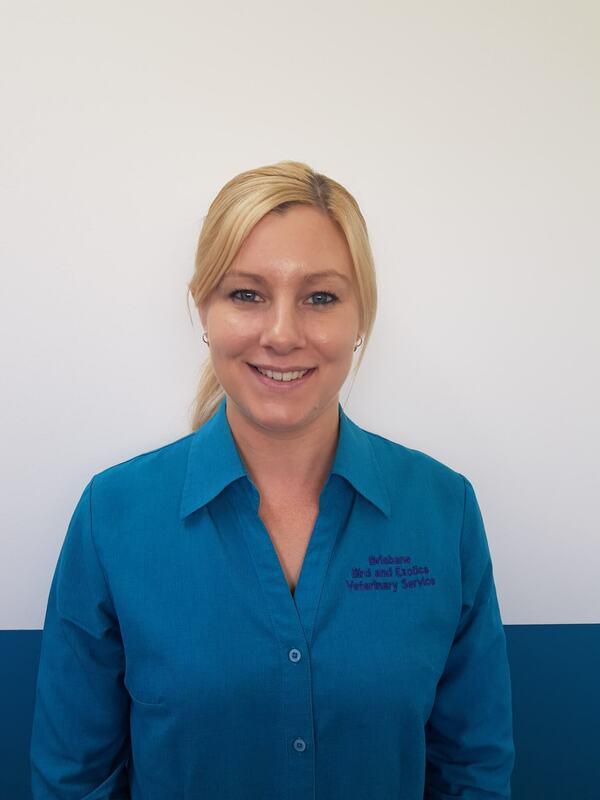 Tiffany joined our team in December, 2018, after working as a predominately small animal veterinarian in Mackay, North Queensland for the past 4 years. She has always been an avid animal lover owning many animals growing up on a property including cattle, horses, chickens, dogs, cats and many birds. Tiffany graduated from James Cook University, Townsville in 2014. She has had an increasing and keen interest in exotic animals since graduation, deciding she would like to become primarily an exotic veterinarian as a new graduate after spending some time obtaining work experience at Adelaide zoo. Tiffany loves all animals of all shapes and sizes, but she has a particular interest in birds and rats. The more she sees the better! At home Tiffany and her husband own a very cheeky Rosed Crowned Conure, Chuppa Chup, 2 very energetic and mischievous border collies named Rosie and Toby, a thoroughbred named Max and many chickens and ducks. In her free time Tiffany enjoys spending time with her fur/feather babies and her husband, watching movies, catching up with friends and family, sushi dates and most importantly, napping. 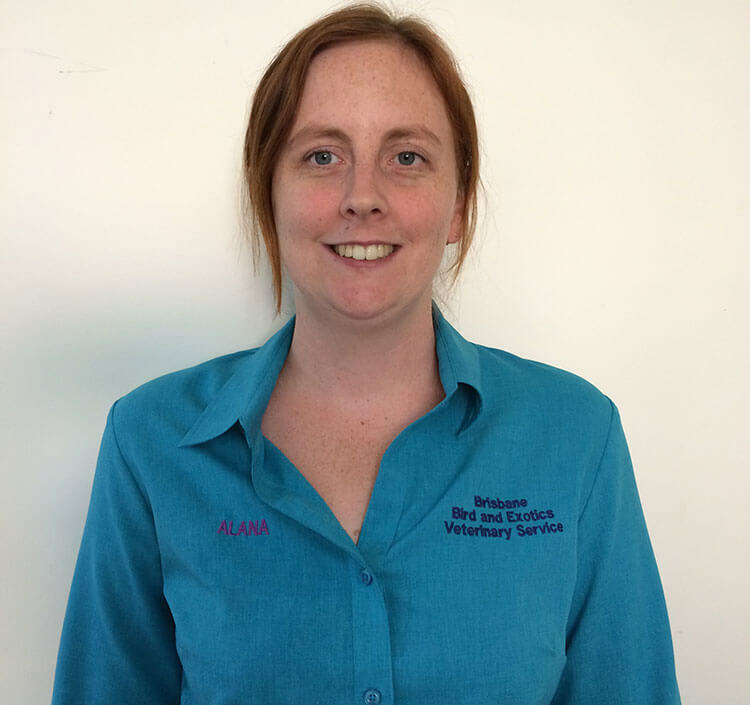 Alana has been involved in the veterinary industry since finishing high school in 2004; working as a trainee veterinary nurse in Australia and the United Kingdom before completing her Certificate IV in 2011 to become a qualified veterinary nurse. Alana joined Brisbane Bird and Exotics in January 2013 and she thoroughly enjoys the wide variety of species and interesting cases that are seen. 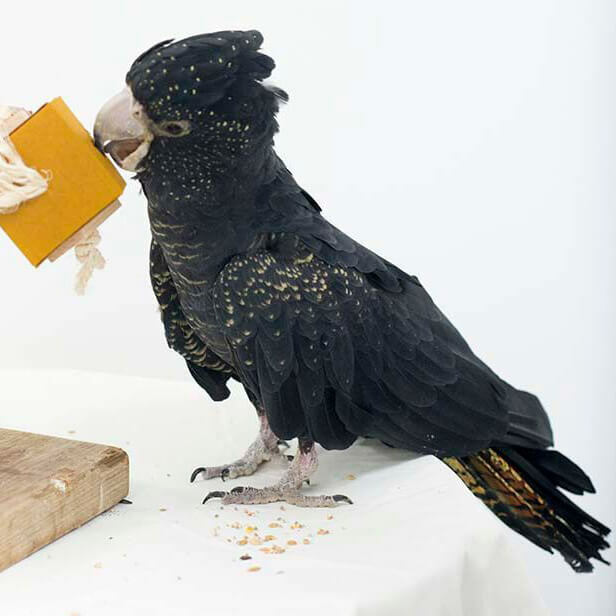 She has a particular interest in parrot behaviour and training, and has attended seminars by some of the most renowned international leaders in the field, including Barbara Heidenreich and Steve Martin. 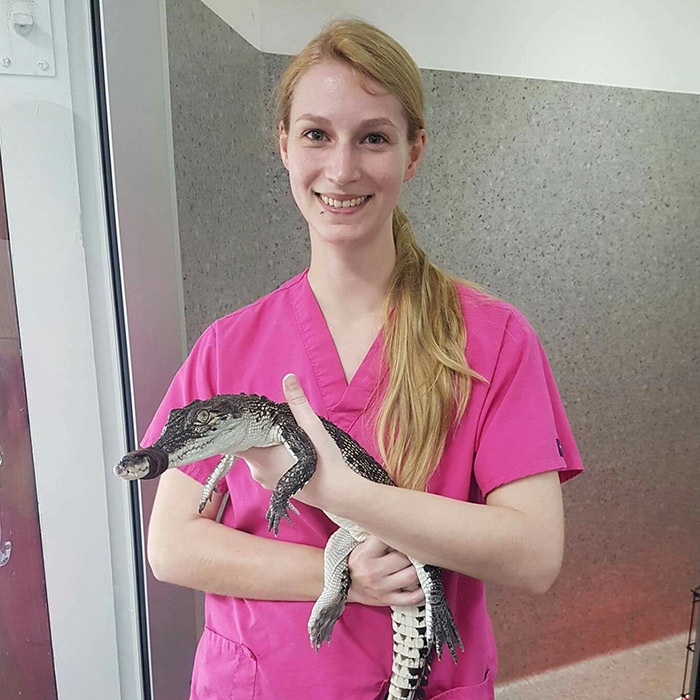 She is currently completing additional study in the advanced nursing care of Avian, Reptile, Mammal and Zoo species through a training institution in the United Kingdom. Alana and her husband are owned by a flock of parrots, a Centrallian Carpet Python, two ‘foster’ dogs and a ‘foster’ cat (that arrived for short-term care and never left)! Maddie loves all things animal related, particularly eggs! She first started incubating eggs at the age of fourteen using a cardboard box and a desk lamp. Her love of eggs was so great that she actively started researching eggs and incubation at a young age. Since then Maddie has obtained formal qualifications including a Certificate 3 in Captive Animals, a Certificate 4 in Veterinary Nursing and is part way through a Bachelor of Wildlife Science. She has attended a workshop with Operation Nest Egg (ONE) in Kiwi egg candling and incubation as well as a workshop in Avian Artificial Incubation with the Durrell Conservation Academy. Maddie has incubated eggs from both domestic and wild species, many of which were a mystery until they hatched. This has included tiny pardalotes, finches, swans, brush turkeys, sea birds, raptors and everything in between! After hatching, Maddie also hand raises most of these birds on her own. Conservation of endangered and threatened Australia species is something that Maddie would love to be involved with in the future. Maddie also actively participates in rescuing and caring for native wildlife, and also dog, cat and battery hen rescue work. At home Maddie has a cockatiel, lots of chickens, 3 dogs (Toy Bulldog, Boston Terrier and a Great Dane) and 3 cats to keep her busy! Kelsey has always had a special interest in birds which led her to start volunteering at Currumbin Wildlife Sanctuary in 2009. Here she spent her time cleaning, feeding and providing enrichment for the sanctuary birds. She completed a Certificate III in Native Animal Rehabilitation which required her to also work alongside the nurses and vets in the busy Currumbin Wildlife Hospital. It was there that she realised her dream of becoming a veterinary nurse and she promptly started her studies. 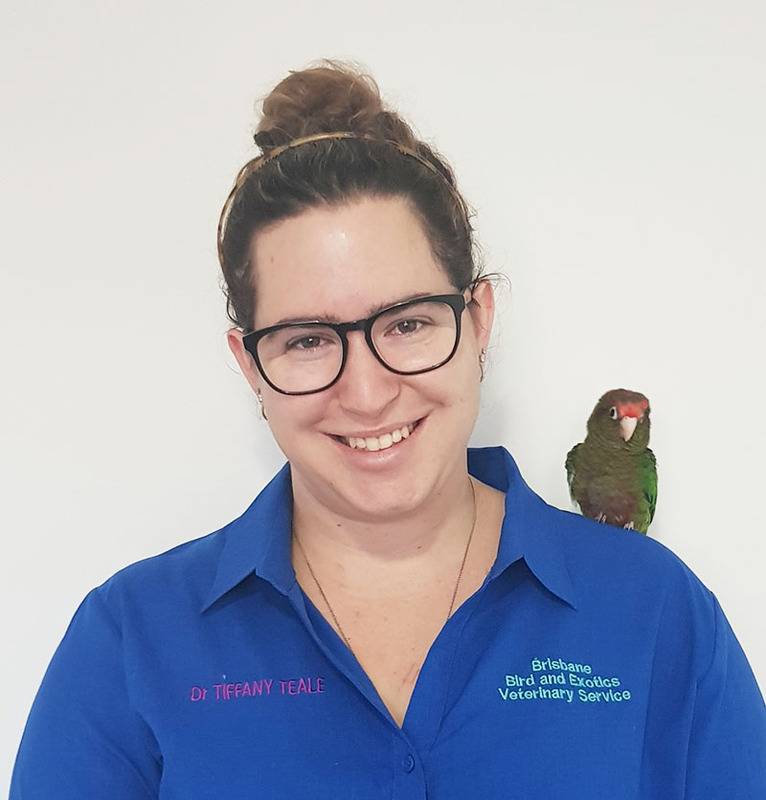 While completing her Certificate IV in Veterinary Nursing, Kelsey spent her spare time continuing her nursing duties at Currumbin Wildlife Hospital, driving the RSPCA Wildlife Ambulance and working at a dog and cat clinic. Kelsey didn’t hesitate when she was presented with the opportunity to join the team at BBEVS in 2012. Here she has been able to expand her knowledge on all the exotic creatures seen at the clinic. 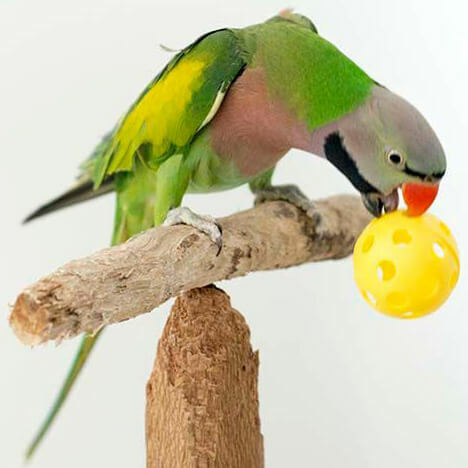 She has a particular interest in avian enrichment and will happily pass on the tips and tricks she learnt from her years owning and working with captive birds. She shares her home with a large number of active and noisy parrots, a small flock of bantam chickens, a pond full of fish and yabbies, a room full of various invertebrates, a very lovely olive python, and a mischievous Cattle Dog cross. In her spare time she can be found reading, crafting, researching insects, incubating and hatching wildlife eggs, and making copious amounts of bird toys to keep her flock busy! 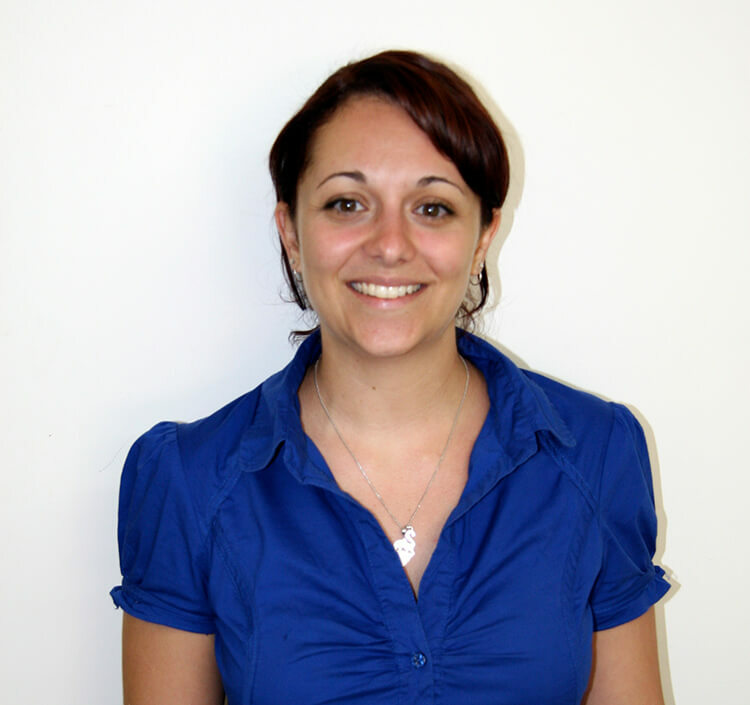 Tiana is very passionate about the patient and client care, and has her certificate IV in veterinary nursing. She has been studying and volunteering in veterinary, zoological and animal related fields for the past few years, including spending a year at Currumbin Wildlife Sanctuary. Since joining us here at BBEVS, Tiana has continued to gain skills and knowledge across a wide range of species. She is especially interested in ducks and wildlife, and enjoys being constantly challenged by the variety of animals we see here at BBEVS. Tiana shares her life with a range of animals. She adopted a Lorikeet called Pablo, and also has a pygmy bearded dragon, a cockatiel, 1 duck and a flock of chickens. She’s also kept extra busy with her sock-stealing Beagle, Dobby, and her three-legged cattle dog Sarsha. Stephanie has worked as a Veterinary Nurse for 7 years. She completed her studies to become a Certificate IV nurse in New Zealand before moving to Australia to begin her career. She has work in many different types of practices, including working night shift in a large emergency clinic. Stephanie also previously worked on the cats and dog side at our old premises on Kessel’s Road, and used to look on longingly at all the amazing creatures we see, so naturally when an opportunity arose to join our team she jumped at the chance. Stephanie has a special interest in surgery, particularly loves our rattie patients and has owned rats in the past. Her animal family currently consists of two bossy cats, an overly excited border collie X and Siamese fighting fish named Rosencrantz. 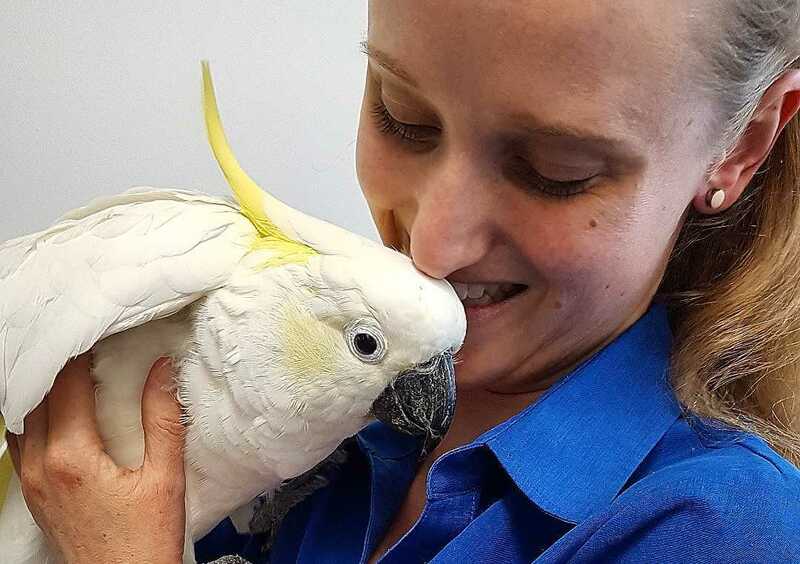 Meri worked for 5 years in a dog and cat hospital before joining Brisbane Bird and Exotics Veterinary Service. She has always loved the smaller furred and feathered critters and jumped at the opportunity to join our team and expand her knowledge of the exotic species. Meri is passionate about environmental enrichment for our exotic animals and does most of the ordering for the clinic. She is always very excited about new toys and products for birds and guinea pigs! In her spare time Meri likes road trips, scouring the markets for vintage treasures, decorating her new house and catching up with friends and family. Meri lives with her boyfriend Jamie, her blind cat Cricket, three-legged cat Molly, a little mouse family and a cheeky sulphur crested cockatoo Alan. Charlotte joined us as a receptionist and is studying to be a Vet Nurse. She has a great love for all creatures and is excited to pursue her passion. Charlottes house is run by her two dogs and cat. She would love to expand the family with a few feathery and scaly friends one day. 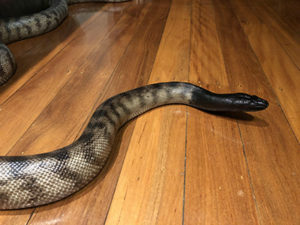 Diesel, the Black-headed python came to BBEVS in 2009 with many medical problems. Her situation was life-threatening and with many months of treatment, including major surgery she is finally on the road to good health. Petey owns our vet Deborah and just like other asiatics has a very strong personality! He has managed to convince Deb to give him treats for a variety of tricks including playing basketball, soccer and picking up a set of weights. Licorice is a female Red Tailed Black Cockatoo that arrived on the scene in 2010. She is our resident blood donor but prefers to spend most of her time sweet talking everyone for treats. 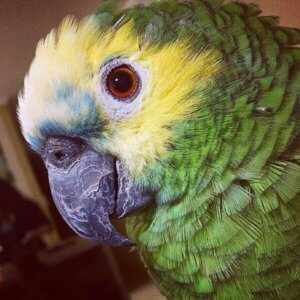 Tiago is a male blue fronted amazon parrot who keeps Sasha on her toes at all times! He is mischievous, loving and very clever. Tiago enjoys chewing on branches, leaves, gumnuts, paper… pretty much anything! He also loves coming to the bathroom for shower time and his daily training session where he spins, waves, shakes, high fives, bows, stretches and flies between various stations on command. 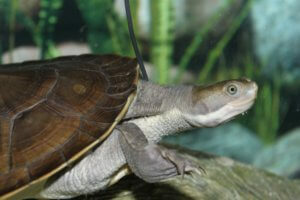 Sasha has been the lucky owner of these handsome male Macquarie River turtles since 2008. They initially lived in a 6 foot tank each but in more recent years are loving life in an outdoor pond. Their favourite past times are meal times, basking on rocks and walking around in the rain!